Gray’s Landing offers affordable apartments in the South Waterfront and will provide residents with easy access to sophisticated urban living in a natural setting along the Willamette River. It is home to 209 affordable apartments targeted to working people with modest incomes. With 42 units reserved for very low-income veterans, this building is a showcase for the City of Portland. 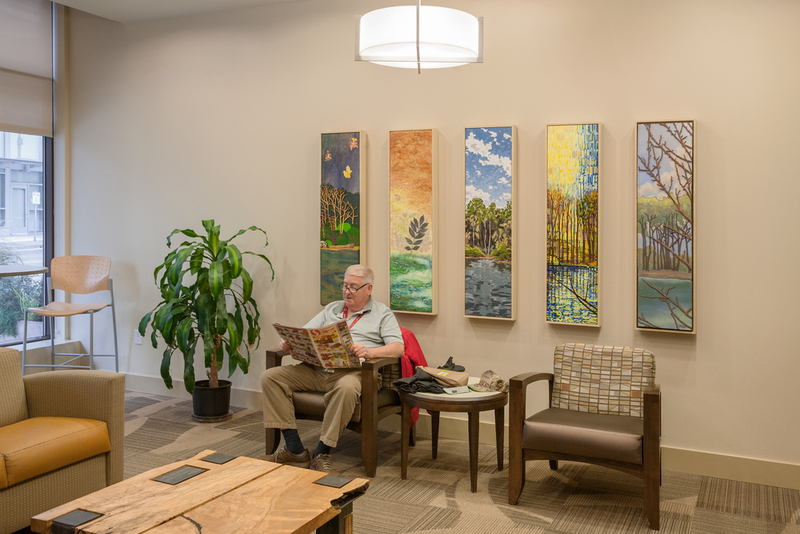 Kimberly Kent Art Brokerage selected, purchased, and installed over 30 original art pieces made by local artists for the building’s common areas, and commissioned five artists to create a collaborative painting in the building lobby. 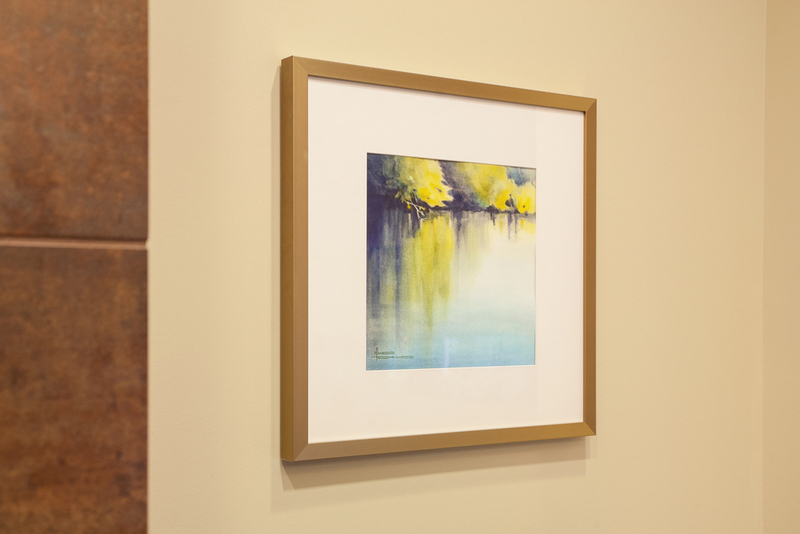 For the commissioned work artists were given a photograph of the river view a window in that space would have revealed, and were asked to interpret that image in different media including acrylic, encaustic, woodcut, and ceramic tile.